The plan was to go to Pak Chong from Plum Village and take the bus to Korat in Nakhon Ratchasima - this is the hub for all transport to the northeast of Thailand. 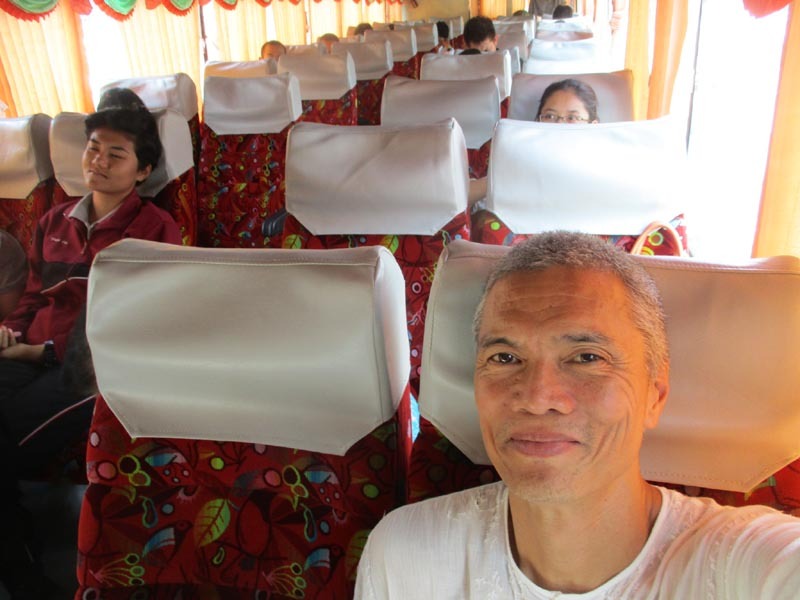 From Korat, I was to take another bus to Rongklaur, the border town of Thailand. From there, I was to exit Thailand, walk across the border and enter Cambodia through Poipet, the Cambodian border town. I then take whatever transport is available to Siem Reap. From Siem Reap, I would decide where I stay for the night. Well, like most traveling adventures, things didn't go exactly according to plan. I waited for 2 days for the transport monk to tell me about my transport from the center to Pak Chong, where I catch the bus to Korat in Nakhon Ratchasima. On Sunday, someone approached me and said, "We leave in one hour". What????? I had to rush my packing even though I was already half packed. I didn't even get the chance to say goodbye to some friends. To them, I just disappeared. But I was dropped-off at the bus station in Pak Chong. Now that I knew where to take the bus, I walked back to where I met Ei and Nui 3 weeks ago. 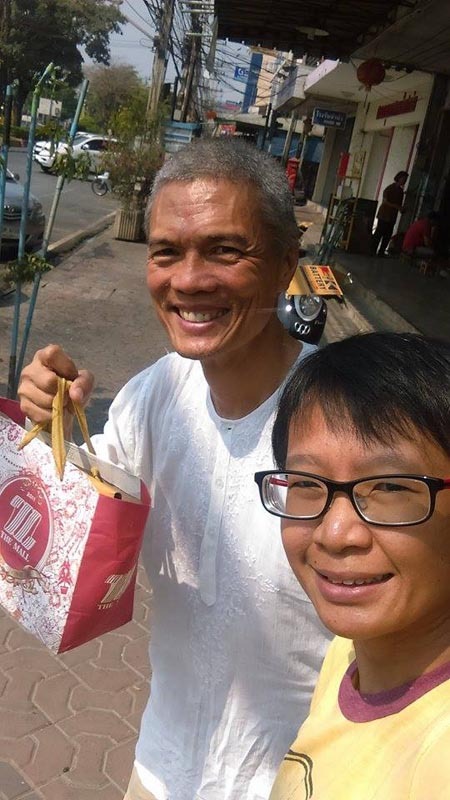 I was a complete stranger to them both but Ei drove me all the way to Plum Village - nearly an hour's drive away! All I wanted was to thank them again and hand them some goodies from the center - calendar, calligraphy writing, tea, etc. Fortunately, I bumped into Ei halfway through. We exchanged a few goodbyes and I was off, towards the bus station. 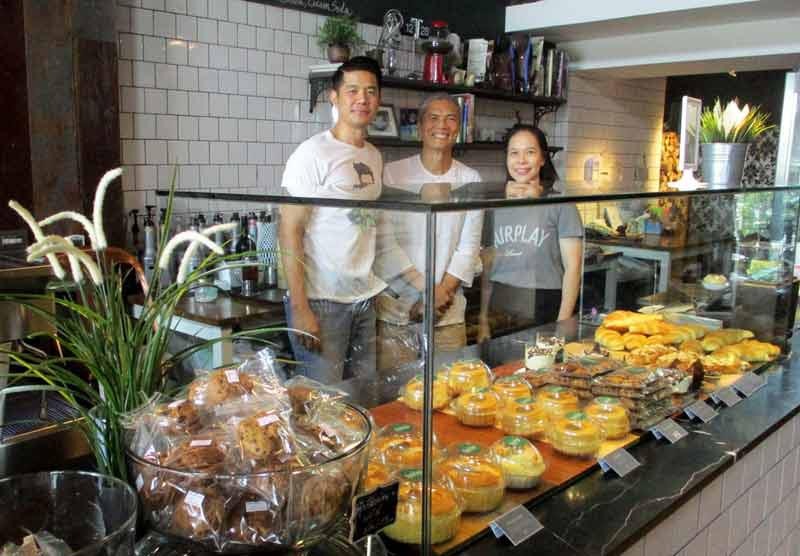 I stopped by a cafe, Saitip Pastry & Bakery, for internet to get more travel info. 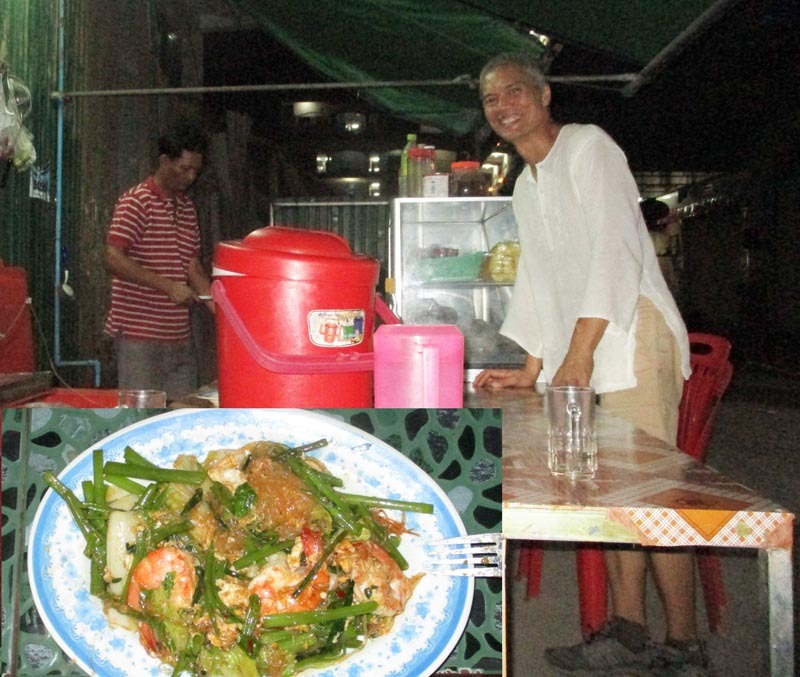 I had a chance to talk to the owner, Pethay and his wife - lovely couple. We had a pleasant conversation about life in general. As I was paying for my order, they refused my money and even gave me goodies to go! This is not the first time the Thais did something so generous to me. I am fortunate to meet such people. I thanked them in my own currency (the web). I stayed a little longer, trying to find a cheap hostel. I haven't explored Pak Chong yet, so I might as well since I was already there. I wasn't rushing. I still had 2 more days into my Thai visa. Too bad, the one good place I wanted, At Home Hostel, was close. No choice for me then but to go back to the bus station. I waited an hour until the bus for Korat arrived. Before I left Plum Village, I asked a monk to write in Thai, "which bus to Korat, new bus station?" That note was a life saver. I would just show the note at the bus station and they would know exactly where I go. Otherwise, it would be a trial and error as I make hand and face gestures trying to tell them in English what they can't in understand. After an hour on the road, I was finally in Korat. I knew I would arrive at the border at night. A night border crossing with no assurance of transport on the Cambodian side was daunting. I tried to find a hostel in Korat instead. But I was new to Korat, and it was a big city. It was too cumbersome to pull out my laptop and check out Agoda in a crowded cafe. Besides, the bus heading for Rongklaur was already there. 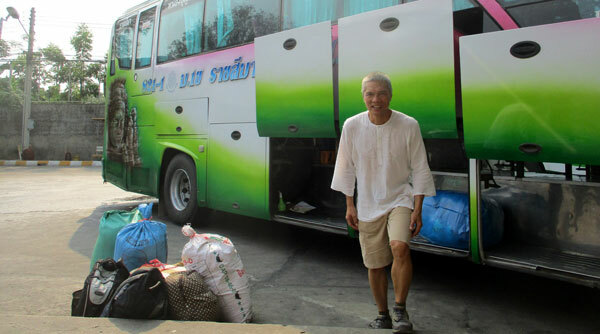 I decided to take the bus and take my chances in Cambodia. Finally, the bus arrived at Rongklaur. As expected, it was already past 9pm. Going through Immigration was not a problem. 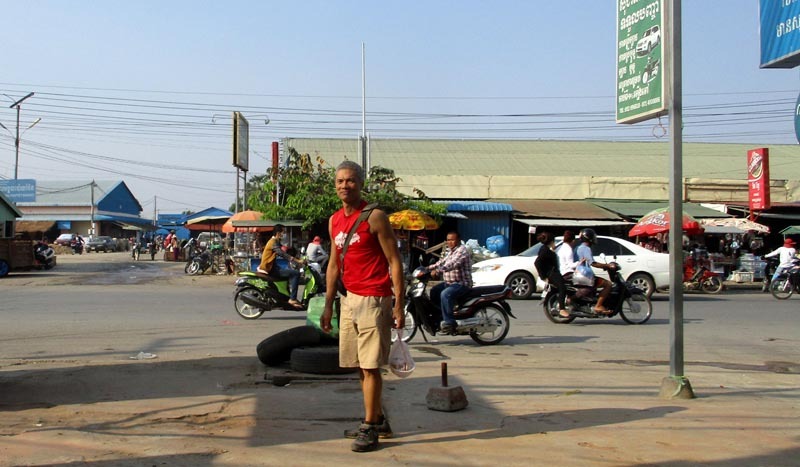 On foot, I crossed into the Cambodian border. I was told that the only way to Siem Reap at that time was a $40 taxi. No way! 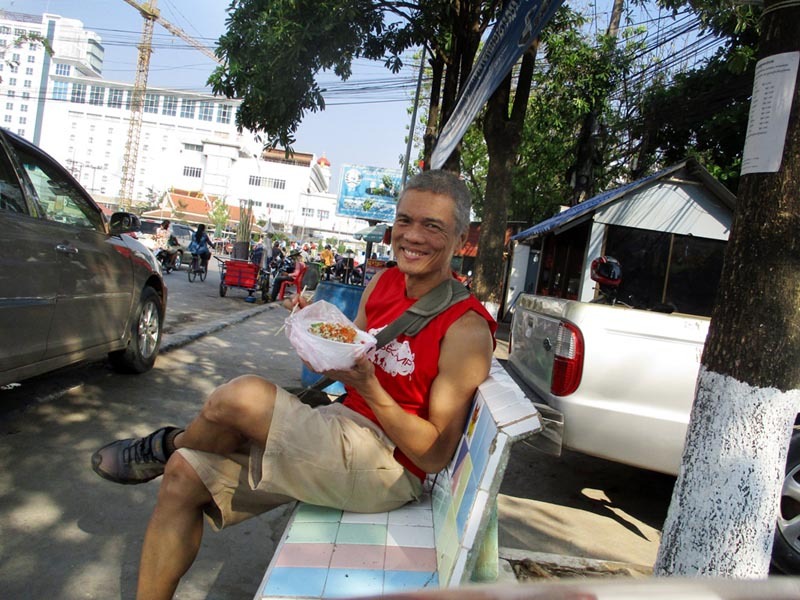 I walked around Poipet looking for a cheap hostel. It wasn't the most comfortable feeling, being in a new place, knowing no one, at night, and you have no place to stay, and a lot of strangers offering rooms and transport at an arm-and-a-leg price. Fortunately, I found a $8 room - the cheapest I could find. At least I had a place to stay for the night, take a refreshing shower as I had been on the road 12 hours already. I would take the bus in the morning for Siem Reap. I was told at the hostel that at 7:30am, I should take a Baht 20 motorcycle ride to the bus station. Any transport I take, whether a bus, taxi or van would cost me $5 to Siem Reap. I thought it was available the whole day. Wrong again! I left the hostel around 9:30am and was told the buses left and there was no bus to Siem Reap until 3pm! There were offers again for a shared taxi (actually it's a private car) ranging in price from $10 to $17. I took the $10 after so much haggling - no choice. I had to get to Siem Reap. Finally, after 2 days on the road, I arrived at the familiar cityscape of Siem Reap - a place I spent 2 weeks into in October 2014. 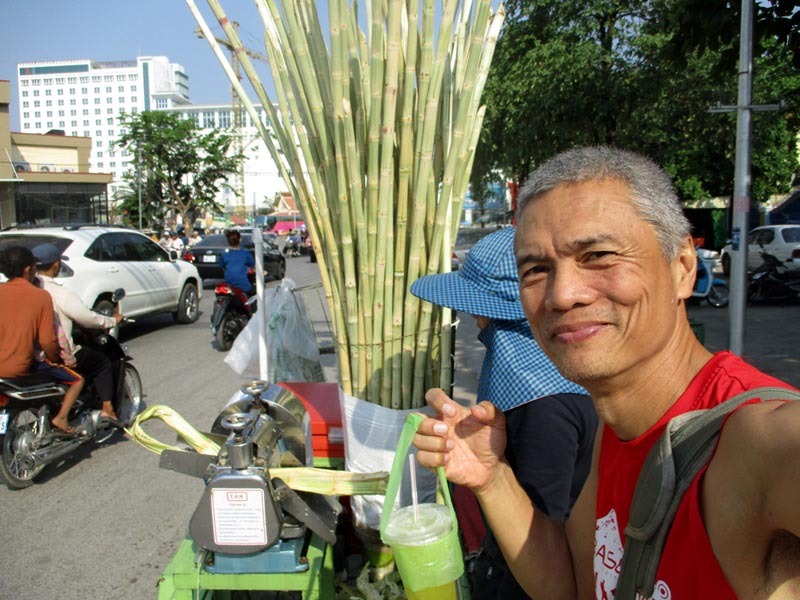 I checked-in at a $4 dorm room at Garden Village Guesthouse and began a new chapter - 20 days in Siem Reap...the entire duration of my Cambodian visa. Korat (new bus station) - Rongklaur - the bus station you alight from is the same bus station you take the bus for Rongklaur. Go to Window 26. The bus will wait there. You can also pay at the bus. Bus leaves every 2 hours (5:30 am, 8am, 10am, 12noon, 2pm, 4pm and 6pm), 150 Baht, 5 hours 10 minutes. Rongklaur to Poipet - the bus drops you off Rongklaur border. 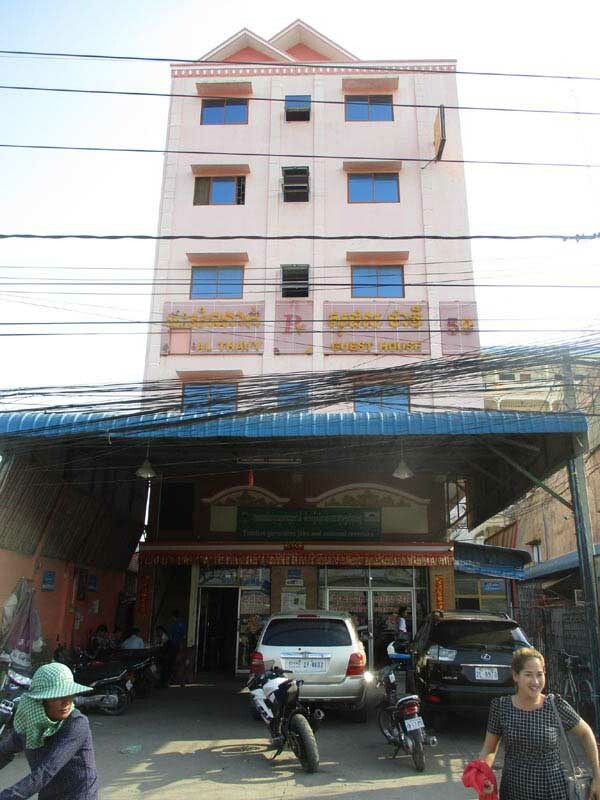 You walk through Immigration and process your exit papers and walk into Poipet, Cambodia to process your entry papers. Poipet - Siem Reap - as soon as you cross into the Cambodian border, there will be single motorcycles awaiting. Pay 20 Baht to get to the bus station. If you get there by 7:30am, pay only $5 either to a bus, taxi or van for Siem Reap. If you miss the 7:30am slot, you will have to pay $10 for a shared cab. If you have to stay overnight in Poipet, Sophal Thavy Guest House has a room for $8/night (short walk from the border).